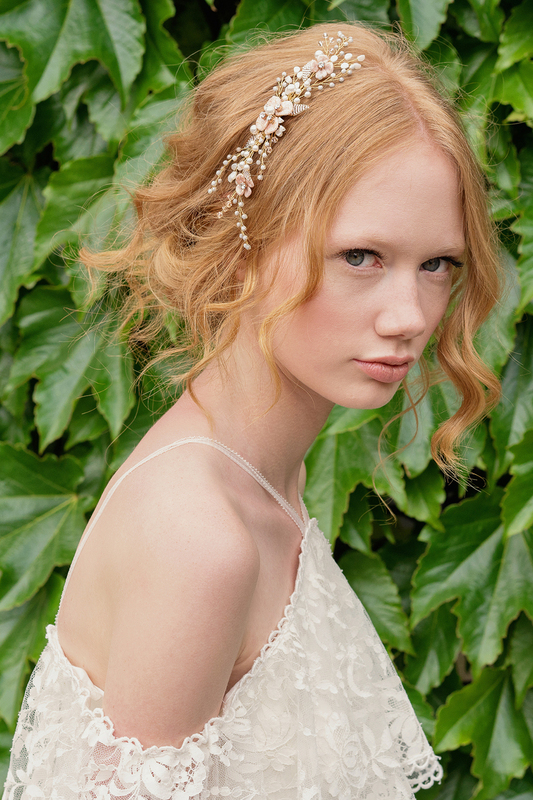 The beauty of our signature primrose glass flowers transform this comb into a statement bridal accessory. 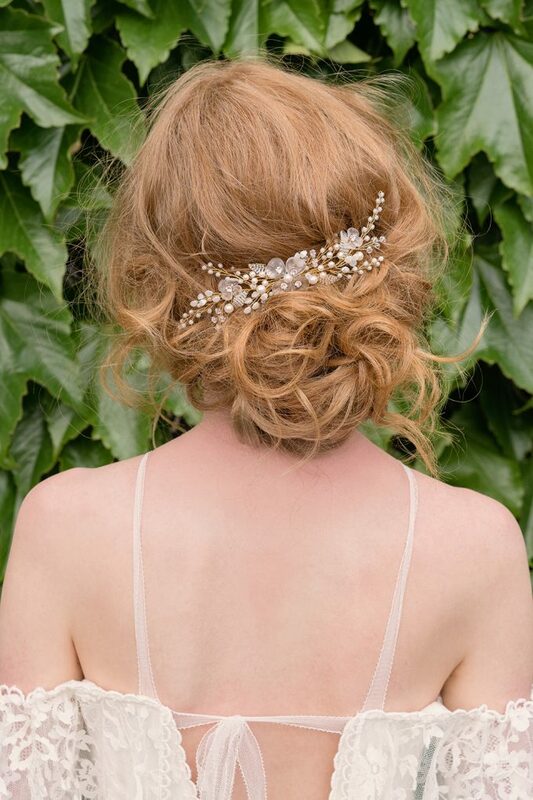 Adorned with Swarovski pearls and crystals the Small Kalia comb is perfect to be worn either in front or in the back side of your hairstyle. Order it in the 3 color variations: Translucent, white or rose.